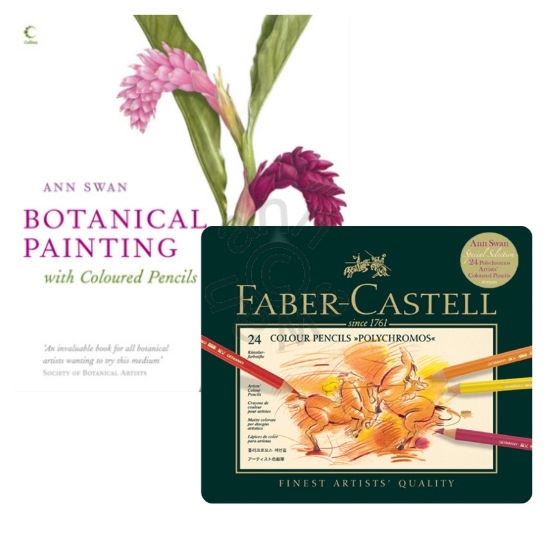 Ann’s beautifully illustrated step-by-step guide to using coloured pencils in botanical painting was published by Collins in 2010. Order your signed copy here directly from Ann! Faber Castell have teamed up with Ann to create a set of 24 pencils specifically chosen by Ann to go with her book ‘Botanical Painting with Coloured Pencils’. Each of the tins has a special sticker on it. Special offer buy together for £45 instead of £47.50!